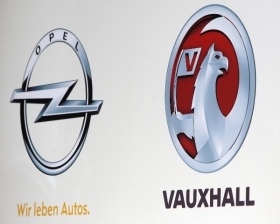 LONDON – Opel/Vauxhall expects to make a profit from its forthcoming minicar because of the model's upmarket positioning, GM Europe President Nick Reilly said. Reilly said the city car, codenamed Junior, will be aimed at "people who care about the status of their car, what it can do, what features it has, what telematics it has." Reilly, a former CEO of GM Daewoo in Korea, added: "We learned a quite a lot in Korea where they actually make money in small cars. We're not interested in putting a small car out just to grow market share." Reilly said the minicar will be more expensive than Opel's other offering in the segment, the minivan-like Agila. "It will have a more premium price for its segment," Reilly said, speaking to journalists in London last week. He added that the car will not compete with BMW's Mini brand. The Junior is likely to go on sale in 2013. Reilly also revealed details about Opel's plans to enter the expanding small SUV market next year with a car expected to rival the Nissan Qashqai. Reilly said the vehicle wouldn't initially be sold in two different sizes like its Nissan rival, which has five- and seven-seat variants, but he didn't rule out later versions. Opel's small SUV will be based on the platform of the Corsa subcompact and will be offered in either two- or four-wheel drive. Also in 2013, GM's European unit plans a new coupe and cabriolet based on a stretched version of the Astra platform. "We've let our designers and stylists off the leash. It looks pretty good, it's not a chopped-off sedan. It's specifically designed and it looks great," Reilly said. He added that the vehicle would likely be known under the revived Calibra name. A Vauxhall insider described it as "looking like a BMW 6 series." Reilly said the model will not be built in Germany, but didn't say where production would take place. Later this year, Opel will launch the Astra GTC three-door hatchback and after its debut at the IAA in Frankfurt next month, the brand's Zafira Tourer minivan will start deliveries early next year. In 2013, Opel will begin sales of its Ampera plug-in hybrid car, but the automaker is already looking ahead to the second generation, which will begin deliveries in 2015, according to a company source. "We know that we're going to take a lot of cost out of generation two, out of the batteries and out of other components," Reilly said. The second-generation version of the Ampera is expected to offer different body styles as well. Speaking last month to Automotive News Europe, Opel CEO Karl Friedrich Stracke said the Ampera platform had the potential to expand into different models. He said: "It needs to have the same underbody concept, then you can put different body types on top. It could start from a B-segment car to a D-segment."